My thoughts on “Tonari Kore Arata”, the sixth single from Zenbu Kimi no Sei da. Well, it’s a good thing I’m not a betting man because if any of you remember the predictions I made at the end of my last Zenkimi review then you’ll know that I was somewhat wide of the mark. We did not end up getting any new members added to the group and this single that I’m writing about today ended up being released a whole lot sooner than I thought it would be. You can’t be right all the time folks, despite what some people on the internet might like to think. That being said, there’s one part of my prediction that I’m really hoping does turn out to be accurate. That being the part where I predicted that this single would hopefully be a lot more interesting than “Sekirarararaiotto” (review here) that came before it. It’s not that it was a bad single per se, it just never really got out of second gear. Couple that with some rerecorded hits being included on the b-side and it was always going to be hard to hit the usual heights that Zenkimi are known to reach. I’m not asking for much from this single, I just want to hear Zenkimi do what Zenkimi do best. That’s fun, Denpa-style Pop songs that are catchy and interesting to listen to. None of that should be too difficult based off of past form and I am sure Codomomental will be wanting to keep their flagship group strong. Or I’m totally wrong and we’ll get some kind of weird Zenkimi/Tsurezure/Kaqriyo hybrid that they’ve teased a few times in the past. Guess there’s really only one way for me to find out. When “Tonari Kore Arata” first kicks in, it’s hard not to be reminded of another Zenkimi song. 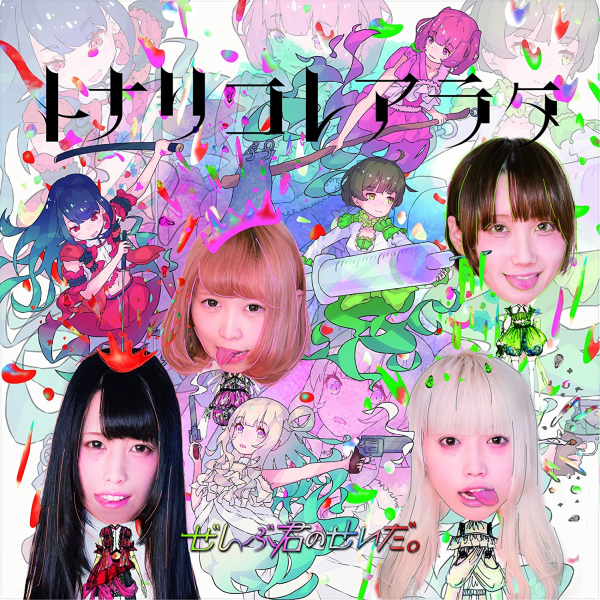 That song being “Wagamama Shinsei Hominina” (review here), a favorite of mine so not the worst thing to be compared to. Don’t worry though, it’s not a carbon copy of “Wagamama” although I would say this song does have the prototypical Zenkimi sound to it. For those of you who are new here that involves synthesizers, piano and a very well disguised Rock instrumental. 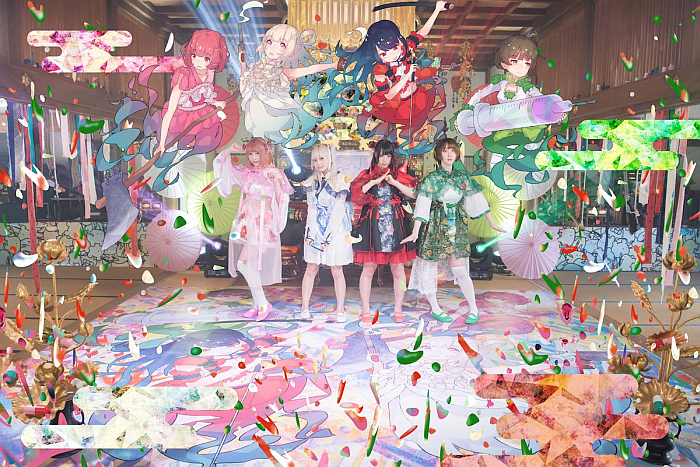 Vocally we have the usual cutesy, Denpa style accompanied by quite a lot of just straight up clean singing which isn’t uncommon from Zenkimi but not what they usually tend to go for. Oh yeah, the chorus on this song is great by the way, nice and catchy with some strong hooks. To be fair, that’s all I ever want from Zenkimi though, Synth-Pop/Rock songs with great hooks, and that’s exactly what this song is. Moving on to our first b-side and we have “Viral Labyrinth”. This is a pretty interesting song in that it’s very noticeably guitar driven where a majority of Zenkimi songs tend to downplay this a bit. In fact, now that I think about it this song wouldn’t sound that out of place if it was on sister group Kaqriyo Terror Architect’s recent album “Cultural Mixing” (review here). It certainly has the “traditional instruments meets EDM” thing going on in the instrumental at least, said instrumental also has a really catchy synthesizer melody by the way. Vocally this also feels like a Kaqriyo song and that’s not even just the way it’s sung either. There’s quite a few “creepy” moments and there’s even a little bit of screaming thrown in towards the end. I love the song but when I’m listening to it I feel like I’m listening to Kaqriyo and not Zenkimi, which could be seen as a good or bad thing I guess. Things go in a much different direction for single’s second b-side and final track “ROMANTICISM”. Any of you guys out there like Chiptune inspired instrumentals? Then boy do Zenkimi have a song for you right here. Indeed, the instrumental for this track is full of all manner of bleeps and bloops that have somehow been sequenced together to make for a really catchy, enjoyable listen. Vocally things are a bit more downplayed, almost verging on melancholic at times even. Once again we’re treated to a very catchy chorus though so that’s always a good thing in my book. I guess one minor issue I have with this particular song is its length. It’s creeping towards being 5 minutes long and I don’t know if it needed to go that long, especially when you consider how abrupt the ending is. Though I suppose if that’s the only real negative I’m taking from a song then it’s far from the end of the world. It really feels like Zenkimi are back to their best with this single. You’ve got 3 really great songs, which sure have a minor thing here or there that I picked on but nobody is perfect. Codomomental’s flagship group should be putting out releases of this high standard consistently, which I won’t lie has been a bit of an issue for Zenkimi in the last year or so. Given their line-up change woes though, they haven’t done too bad of a job. What comes next should be interesting I think. Codomomental have tweeted (in English) about wanting to translate their song lyrics into English recently so why they would want to do that is open for speculation. As for Zenkimi specifically, I’m expecting their next release will be another single but it does in a way feel like we’re approaching the point where a new album might be something to think about. Or perhaps I’m the only one thinking those kinds of thoughts. Guess we’ll just have to wait and see.